Are you looking for a little boost in productivity for your Unity desktop? Here’s a handy tip to help you speed up browsing around your desktop. Out of the box, the “minimize on click” feature is disabled in Ubuntu. This can be quite annoying for people who are used to this feature. Even if you’ve never heard of this feature before you’ll find it can help speed up your productivity quite a bit. For those not sure what this feature is. 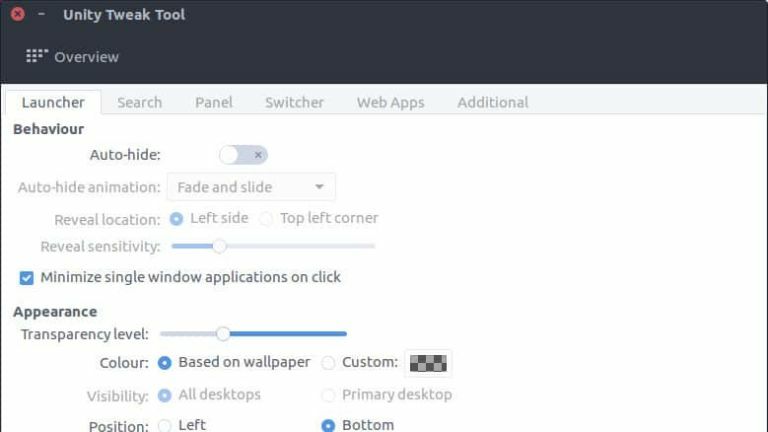 It enables you to quickly minimize an open window by clicking on its icon in the Unity launcher. Like you would if you wanted to show the window. Here are two ways you can enable “minimize on click”. The first with Unity Tweak Tool and the second using the terminal. First, you will need Unity Tweak Tool. If you already have it installed you can skip this step. However, if you don’t already have it you can learn how to install Unity Tweak Tool from this link. Enable the check box “Minimize single window applications on click” under the behaviour tab. First, you will need to launch a new terminal window. You can use the hotkeys Ctrl + Alt + T. Or you can launch the terminal from the Unity Dash menu. with the terminal open enter the following command and hit enter. Using either of the two methods above you will now have “minimize on click” enabled. Go ahead and try it out.